First they canoed down the Mississippi River. Then they hiked the Appalachian Trail. Later they explored the Continental Divide on horseback. 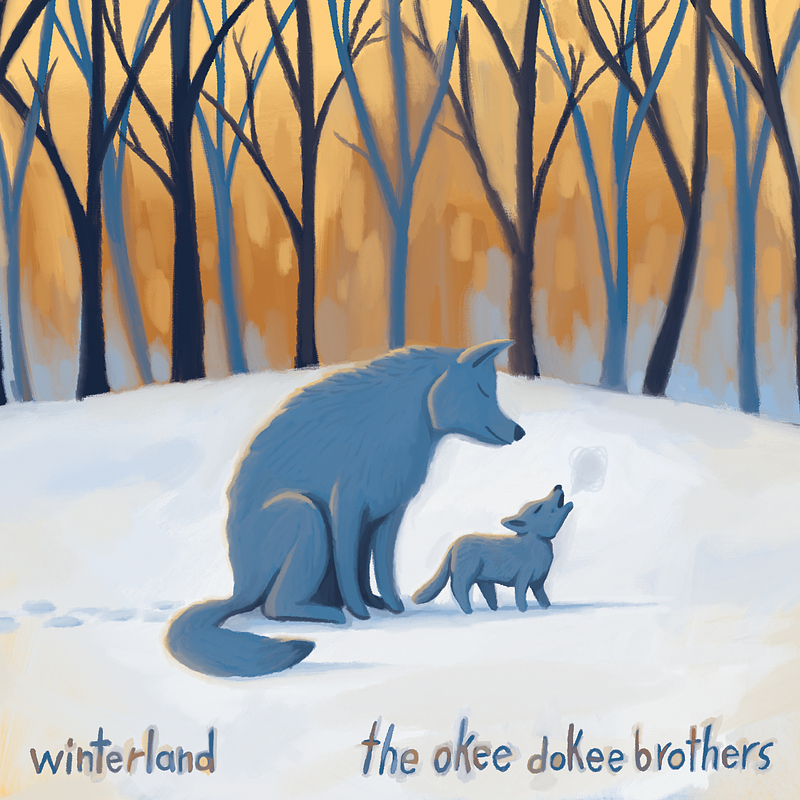 This year the Okee Dokee Brothers are exploring their Minnesota roots and the adventure of winter. This newest album, Winterland, is a delightful guide to winter survival. The music challenges the listener to not only endure winter, but to rejoice in it. That isn’t to say that this album is full of nonsensical bliss. While there are some rousing jigs there are also some solemn moments, bringing balance and perspective to the album. After all, while we celebrate a lot during the holidays, we also feel the loss of those who aren’t with us. Winterland is not a holiday album. In fact it doesn’t mention any holidays at all. (Although the penultimate track, New Year, could been seen as such, it’s really more about the passage of time.) It is exactly as advertised: a winter album. Within the tracks we trek through sheets of rain and blankets of snow through the things we do to drive the cold winter away, and ending with Signs of Spring. It takes you through the whole season. Image from the liner notes. Text from Blankets of Snow. Image from liner notes. Text from Welcome Home. This music warms me up better than a mug of hot cocoa. This is our soundtrack and roadmap for the next few months.